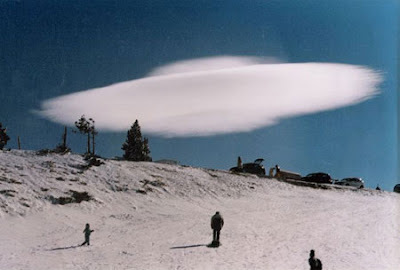 A 45 year old lady Diane Bowers caught this amazing sight on camera while on a Holiday at the Sierra Nevada Mountains in Spain. 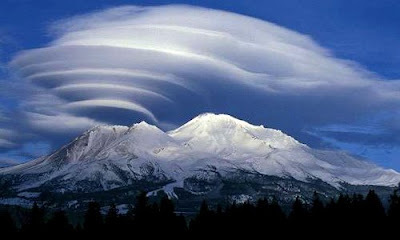 "I couldn't believe my eyes when I spotted this cloud. The sky was so clear, just a pure blue, apart from this one cloud that looked just like a flying saucer. It was one of those moments that I will never forget. " 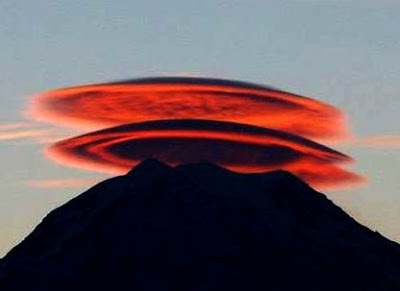 If a lenticular shaped cloud can create such a strong impression in someone's life there is a lot more excitement yet to unfold when real Spaceships are seen in the skies all over the Planet ! 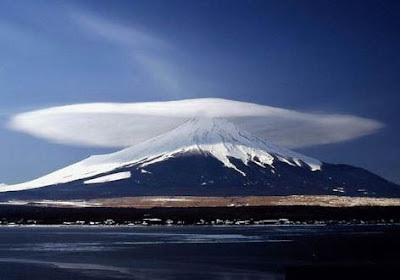 Science has termed this phenomena as Altocumulus Lenticularis : When lenticular shaped stationary clouds are formed due to moisture flowing over mountains. 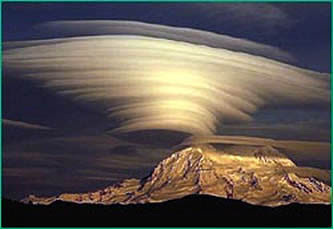 Here are some lenticular clouds which make some really amazing patterns in the sky often resemling flying saucers ! 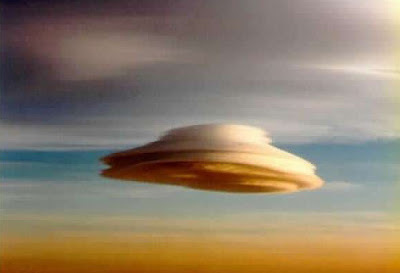 Mrs. Bowers's living room in Peterhead, Aberdeenshire has the saucer shaped cloud picture on the wall.